Hello children! We are almost at the end of the first month of 2019. Hope January is treating you well in its last days and you had lots of fun during the month. 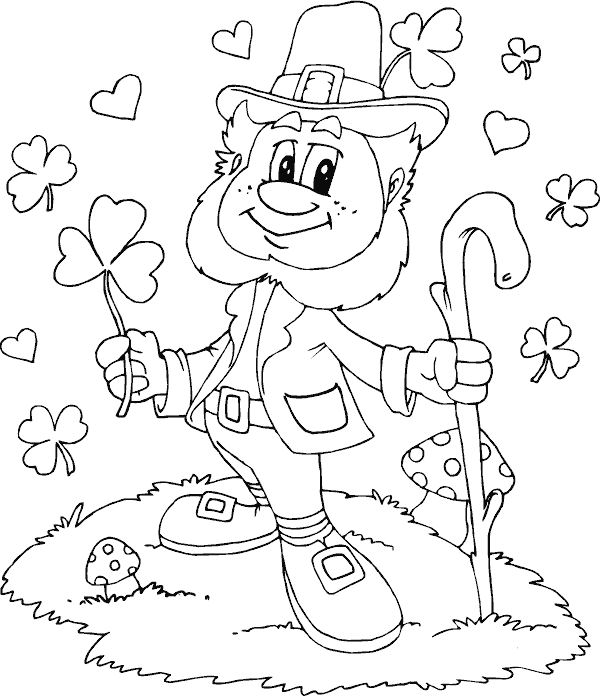 Keeping with the fun spirit, today we have brought for you an interesting collection of leprechaun coloring pages printable. 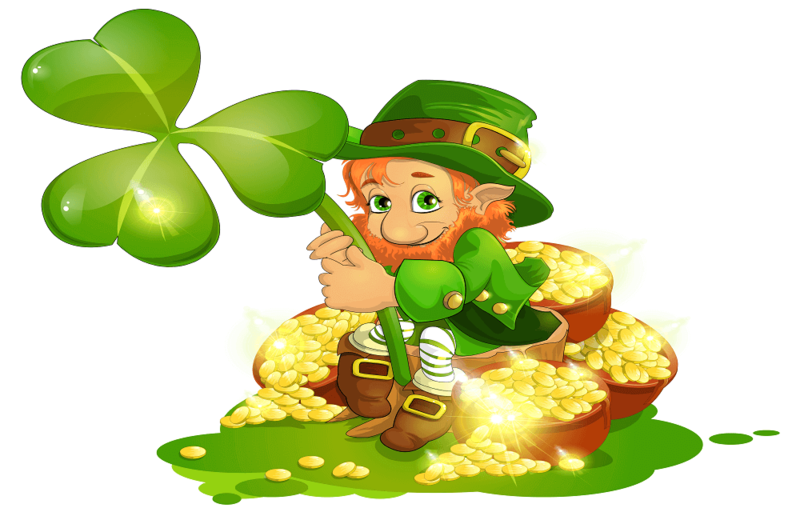 A leprechaun is an Irish bearded little fairy, mostly wearing a coat and a hat. They are believed to be solitary creatures who are rich thanks to their treasure of hidden pot of gold buried at the end of the rainbow. If encountered or caught by a human, a leprechaun can grant three wishes in return for their freedom. 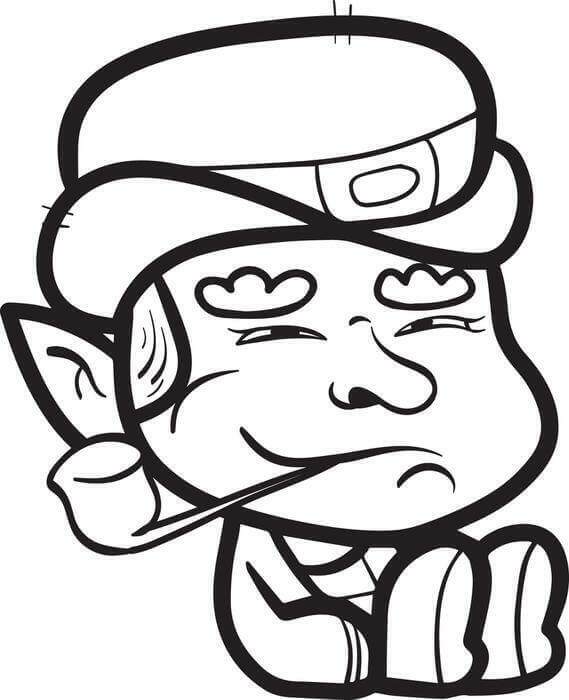 We can learn more about this mischievous, hardworking fairy through this collection of leprechaun coloring sheets to print. Happiness is evident on this little boy who has decided to dress as a leprechaun. He looks superbly smart and adorable wearing the leprechaun outfit. 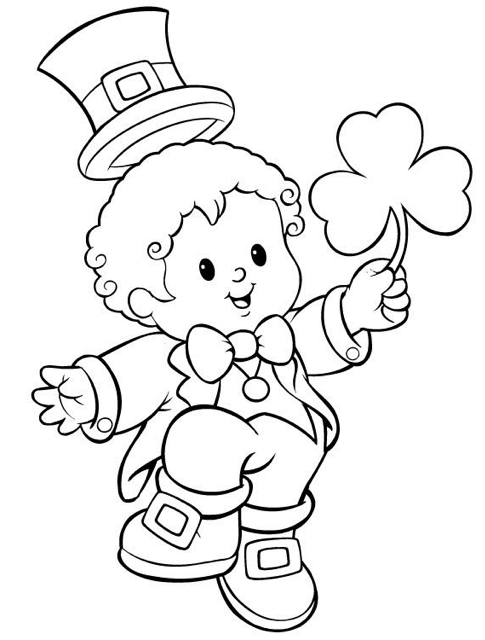 There is even a shamrock, a young sprig in his hand. Shamrock is used as a symbol of Ireland. Dressing up as leprechaun has become a part of the St. Patrick’s Day celebration, a public holiday marking the death of the patron saint of Ireland. People also wear a shamrock to mark this religious and cultural celebration. It is believed that Saint Patrick used a shamrock to demonstrate a sermon on the Christian Holy Trinity. Here is a young leprechaun smartly dressed as he heads out for the day. Even he is sporting a shamrock tucked in his hat. 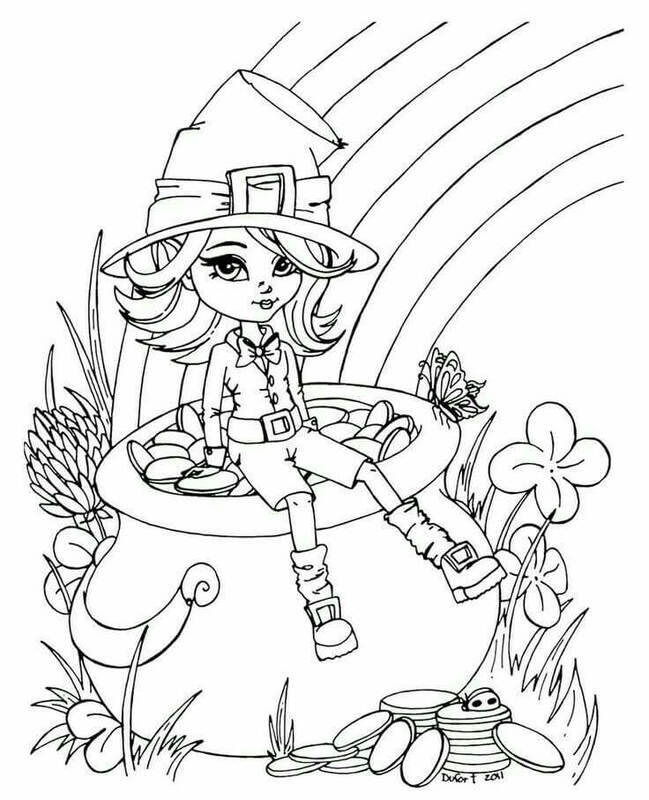 You can make his day brighter by printing and coloring this illustration in bright and happy colors. Finding a treasure is a wonderful moment. But when the treasure is a pot of gold, the joy can know no bounds. That’s just how this young leprechaun is feeling, after finding and looking at his treasure. As popularly acknowledged, the treasure was found at the end of the rainbow. 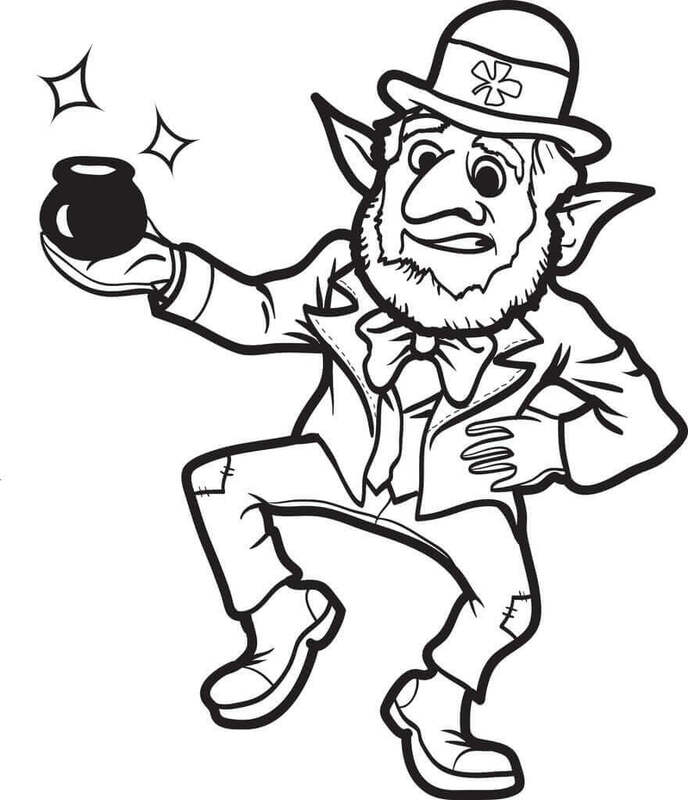 Unlike the young one, this old and experienced leprechaun is expertly guarding his giant pot of treasure. He must have done all the dancing with joy when he had first found it. Print this page and confidently color all the elements in this illustration. 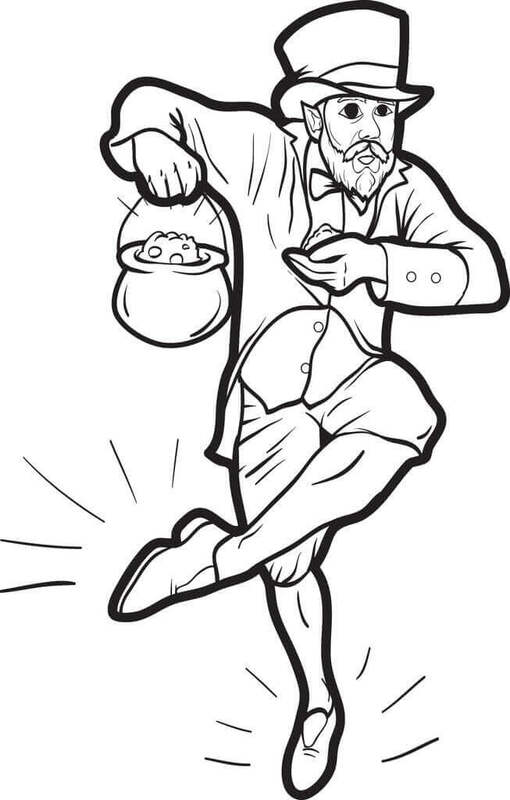 This grandpa leprechaun is nonchalantly standing over his pot of gold. Being old he is no longer as excited as the young ones. With his life experiences, he has learned to be smarter about his treasure and not get overexcited. 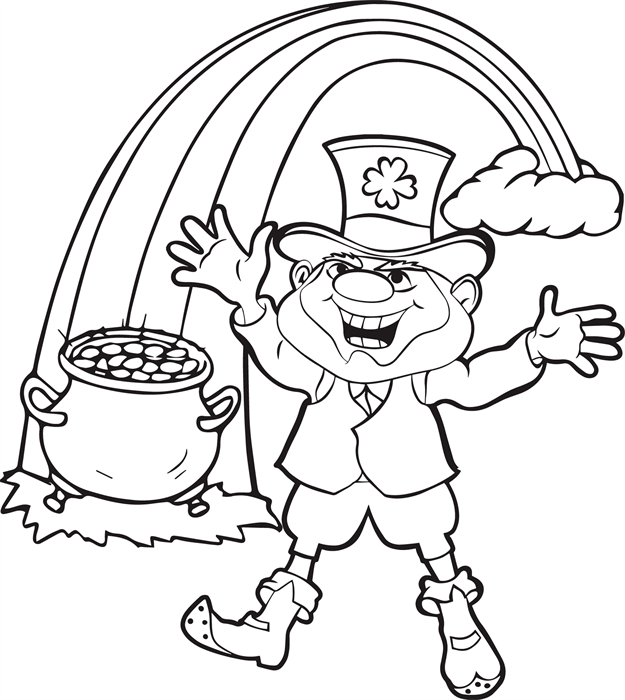 Give this learned leprechaun some splash of color. It’s a fun and curious sight, isn’t it? 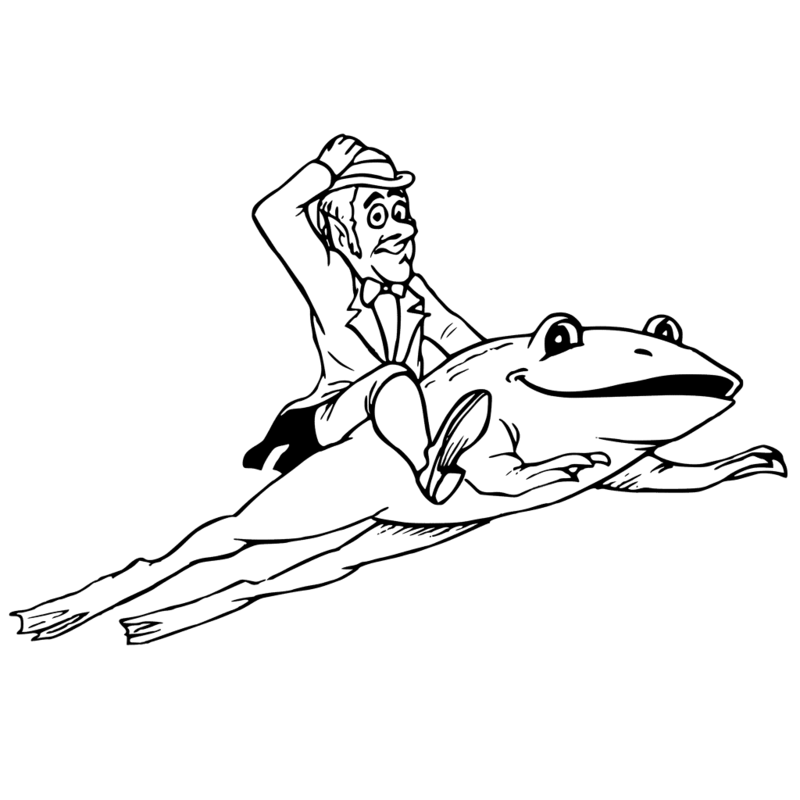 An old leprechaun riding on a jumping frog. They have something in common though. The frog is green and the leprechaun dresses from head-to-toe in green color too. Print this page and color it green. 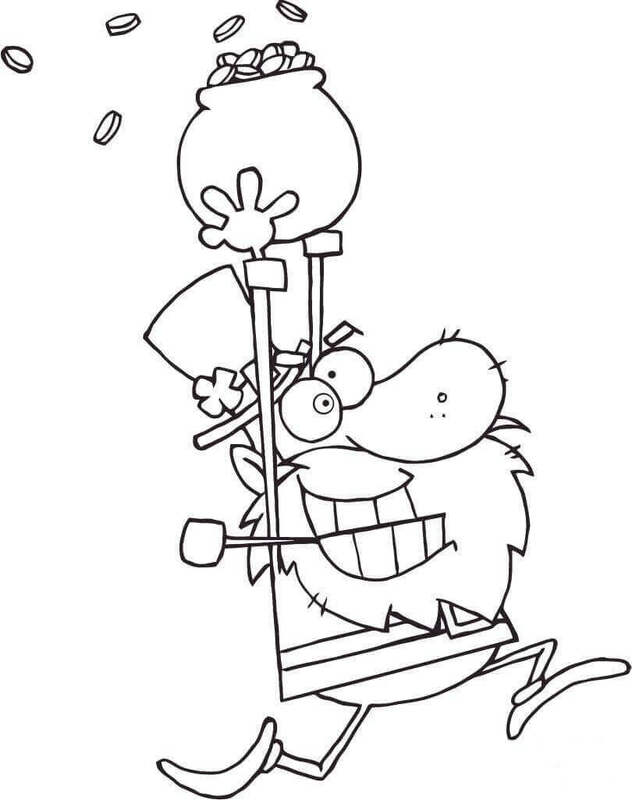 Another happy leprechaun has developed an ingenious way to find his treasure pot of gold. He has decided to take a ride on the rainbow instead of following it on foot on the ground. Goes to show that there’s always more than one way to find a solution to a problem. This old, cunning leprechaun has been blinded by the gold he found. Worse still, he has made the little fairy angel work for him to carry his gold. Greed makes people and even leprechaun go crazy. Looks like the happy leprechaun who was riding the rainbow has finally managed to land on his treasure pot of gold. As you know, the rainbow is so long it stretches across the sky. It must have been a long journey. 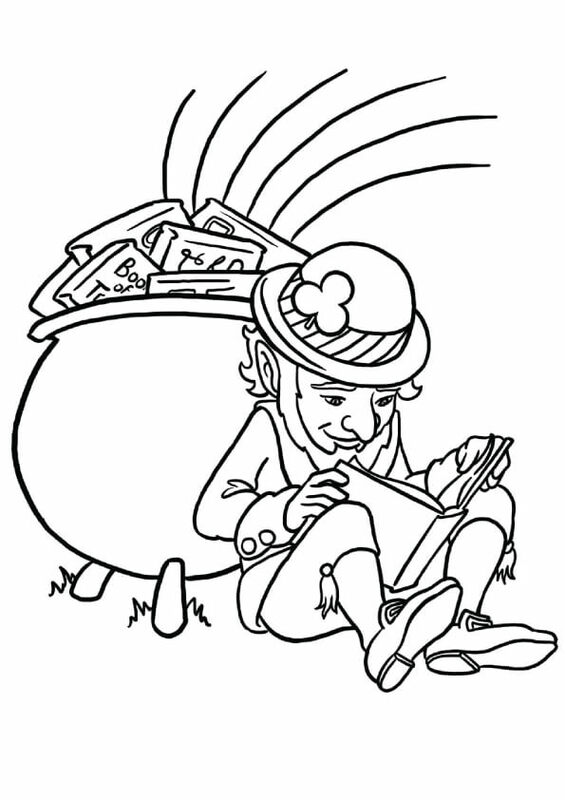 You can offer him some respite by printing and coloring the page. It’s not just the male leprechauns but this lady leprechaun has also managed to find her treasure at the end of the rainbow. Show your support for her bravery by printing this page and splashing it with encouraging colors. This little old leprechaun is relaxing after a tiring day at work. But there is still a hint of a smile on his face. When you work hard, no matter how tiring it is, you always feel good. 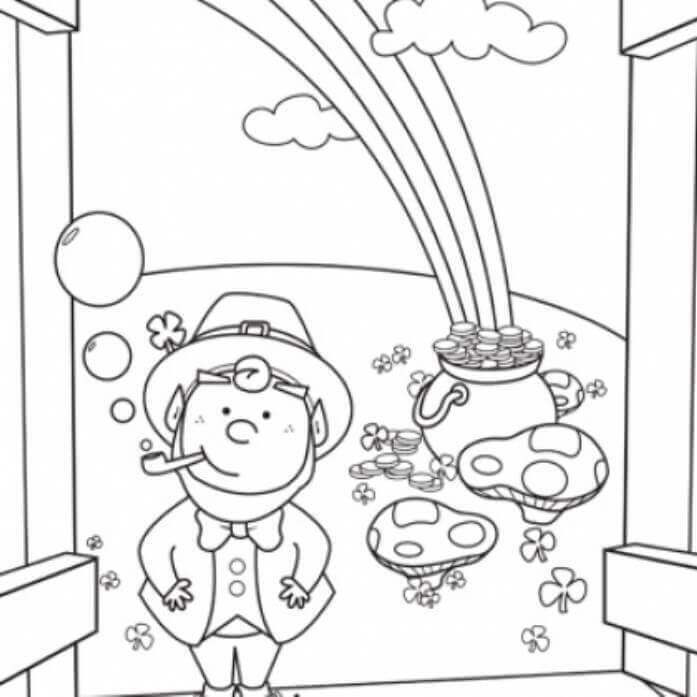 You too can work hard on this coloring page and smile at the end results. When you have a treasure of gold, you are bound to guard it with utmost care. This gentleman leprechaun is no different. He is always on alert. At the same time, he is always courteous with all the visitors. After working hard for years for his treasure, this leprechaun is finally able to enjoy the benefits of his hard work. He has bought a new car to make his traveling easier and rest those old legs. Technology like motor cars are such comforting invention, aren’t they? This old leprechaun is still fit as a fiddle. That’s because he has never stopped exercising his whole life. He has always taken a long walk, once a day, throughout his whole life. Even at this age, when he needs a cane to support, he is out and about enjoying his walk. You too should always keep yourself fit. All the treasure in the world will be of no use if you are not well enough to enjoy it. 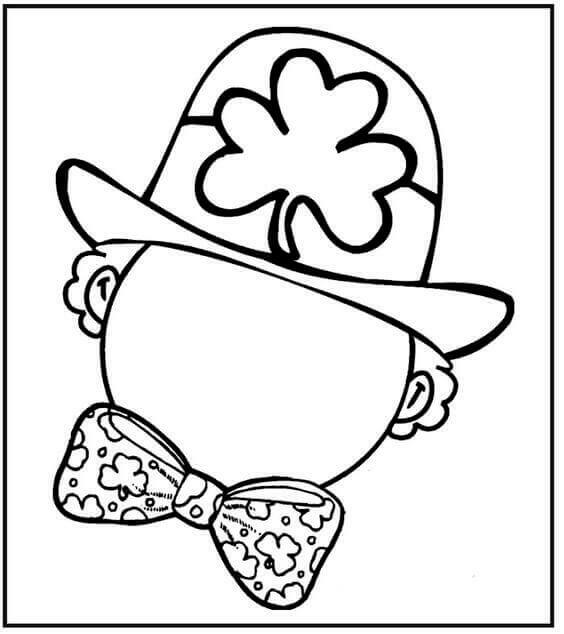 Now that you have an idea about who a leprechaun is and how he looks, you can make full use of this leprechaun face template to fill in all the details. If you print a big size maybe you can turn it into a face mask too. When things don’t go as you planned or you don’t get the reward you were expecting, it can be truly disappointing. Much like this old leprechaun who had worked hard for his treasure. But alas! The treasure is only a tiny pot. Sometimes it takes more than hard work. You need a bit of luck too. Regardless of it all, perseverance is the key. It seems the leprechaun who found a tiny treasure is doing good now. After the initial disappointment, he continued to work hard for years, reading lots of books to gather more knowledge. Look at his treasure now! Knowledge certainly is a treasure. Happiness comes out in different forms. Some cry. Some laugh. 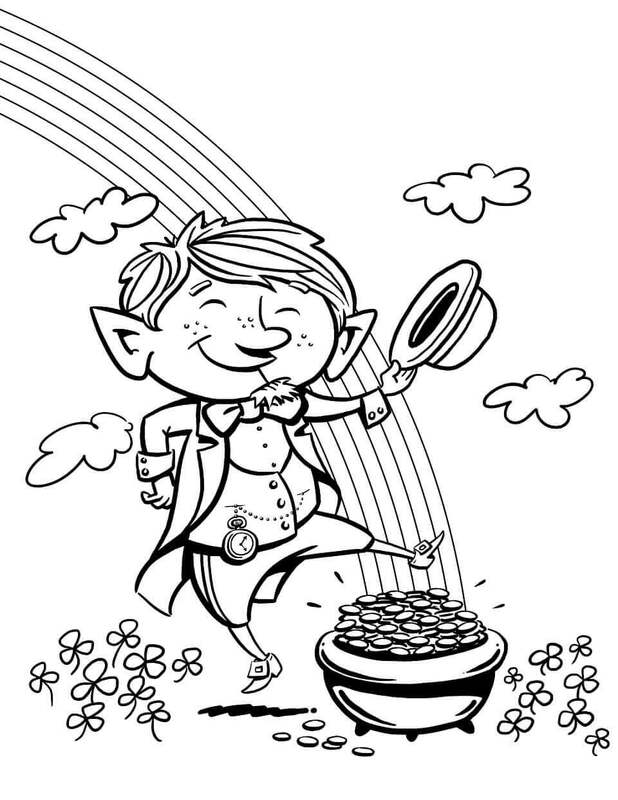 While others like this leprechaun here simply start to run wild with joy, having found his treasure pot of gold. Unlike the wild leprechaun, this old leprechaun here is simply exulting on his discovery. He had made a long journey from the other end of the rainbow which was empty to this end where he found his treasure. Leprechauns are hardworking and reclusive creatures, who prefer to keep to themselves and their surroundings. 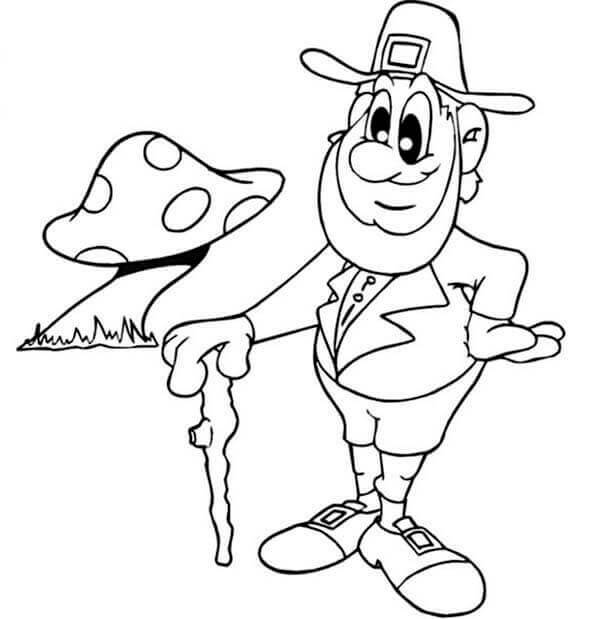 They adore nature, like this leprechaun appreciating the mushroom he comes across daily. You too should always respect nature and care for it. After all, mother earth is our home. This talented leprechaun is juggling the shamrocks he found. Unlike balls, shamrocks are very light and almost impossible to juggle. Give him a round of applause by coloring this page. Having been adopted by a leprechaun family, this mouse too proved that he is a leprechaun by setting out and finally finding his treasure. A family is not just the ones we are born into, a family where we are loved. Leprechaun has been appreciated around the world, making it on the cover of TIME magazine too, in November 1964. 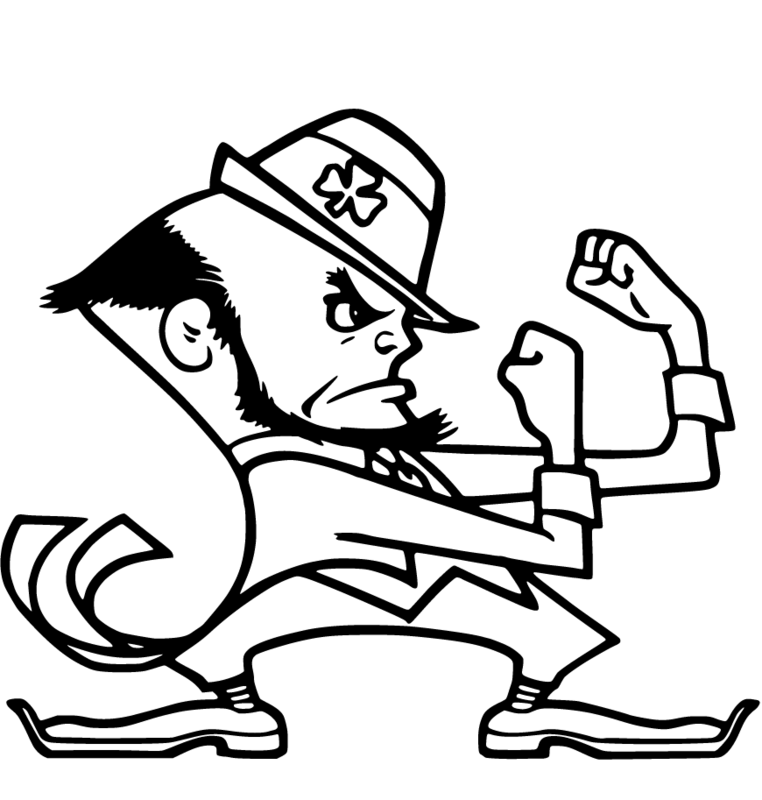 Theodore W. Drake had designed the leprechaun mascot, featured on the cover, for the University of Notre Dame in 1964. The mascot made several appearances at sporting events, especially football games. Taking the joy of discovery to another level altogether, this nimble-footed leprechaun is doing an Irish stepdance. You can almost feel the rhythm in his footwork through this illustration. 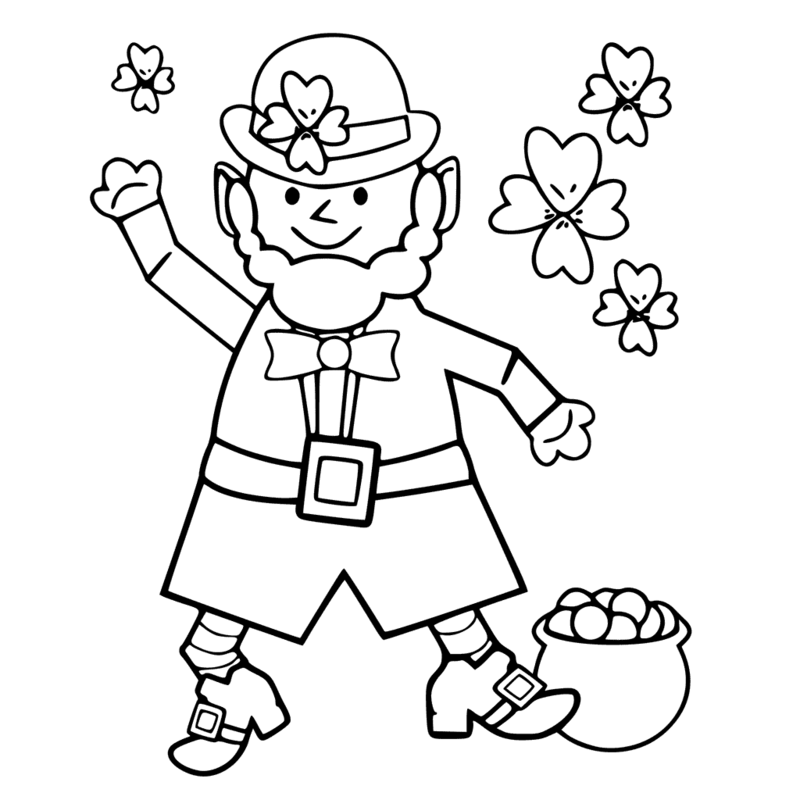 With that celebratory stepdance, we have now come to the end of this collection of leprechaun coloring pages to print. We hope you have learned some important life lessons, like hard work and perseverance, not to be blinded by greed, gaining knowledge and taking care of yourself, your health as well as the nature around you. 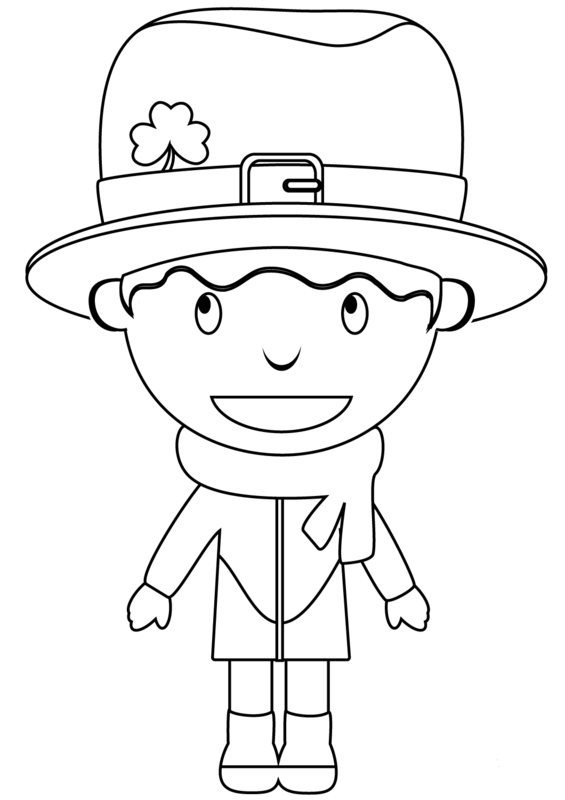 You can ponder over these as you print and color these leprechaun coloring pages, snuggled inside your houses during this cold winter season.